Order a JPG of your favorite photograph and use it for tshirts, mugs, stamps, etc. Whether it’s a bill or a birth announcement, what you mail is personal. Add your individual style to your postage to make it even more unique! Adding your own special touch will make an impression and complete those extra-special mailings, such as wedding invitations or graduation announcements. 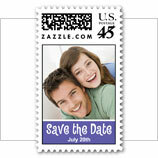 Zazzle custom stamps might look like works of art, but they are real stamps. Since Zazzle is an approved vendor of the U.S. Post Office, you can mail your postage with peace-of-mind knowing your stamps are official. 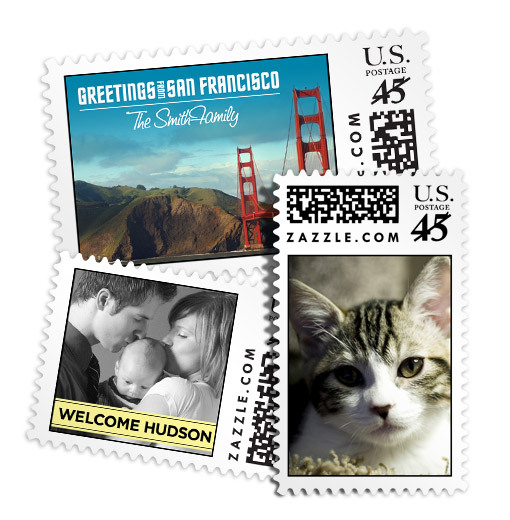 Available in 3 sizes and 13 denominations, Zazzle custom stamps can help anyone with their postage needs. The different sizes work well with all types of cards and envelopes. 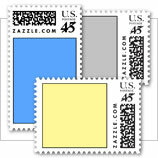 The amount of denominations we offer enables you to use Zazzle custom stamps on a wide variety of mailings.